I told the story elsewhere of how my wife and I woke up in our late 40s to a harsh realization: our investment cupboard was bare. We were not alone, though. In fact, millions of Americans in their 40s or 50s don’t have nearly enough money saved to retire. In a recent GAO survey, 29% of households age 55 or older had no retirement savings. Another 23% had a pension, but no additional 401k or IRA. So what can you do if you find yourself in that position? After you shake off the scorn of the self-righteous around you and stop beating yourself up, it is time to get to work. The good news is that there is hope. We managed it, and you can do it, too. There are a few ways to get from where you are to where you want to be, but they all take a little bit of work. The first step is you have to cut your expenses to the bone. The key number you’re looking to improve is the difference between your income and your expenses. The quickest and easiest way to do something about it is to focus on reducing your expenses. If you are serious about getting caught up, Step 1 is to put together a budget. List all of your income and expenses, no matter how trivial they may seem. Then, you need to put the knife to the expenses, sparing no holy cows: vacations, eating out, movies, hobbies, smartphones, car(s)… everything has to come under the knife. The good news is that you are usually at or close to your peak earning years, so creating a surplus is usually a lot easier than for a 20-something. But still, it isn’t going to be easy. Expect pain. Saving and living on a budget is not pleasant, especially if you are not used to it. Doing it to catch up is even less enjoyable. No matter what, this is a MUST. Set a target to earn more money. Start small, maybe even just $200 a month. Find things to do like moonlighting, selling off collections, making money online, or monetizing a hobby — the list of possibilities is limited only by your determination to catch up. Here is an interesting thing many people discover: once you start pursuing opportunities for extra income, the more they present themselves. It’s almost as if they crawl out of the woodwork. Don’t ask me why — all I know is that I experienced it and I hear it from others all the time. Once you start trying to (and succeeding at) earning more, you can begin to set your target higher. Many also discover that once they start to turn their hobby into an income, they do better than they expected. It often becomes a natural segue into a fulfilling and profitable retirement. But you rarely get there without setting that first extra income goal. Rather than save what is left over between your income and expenses, save first. Force your costs to match what is left over, and don’t even leave yourself the option to under-save or skip saving altogether some months. If you don’t pay yourself first, chances are you will not get caught up. Make maximum use of the tax-advantaged funds available to you. 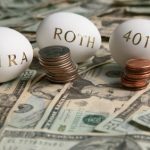 My wife and I made our priority maxing out both our IRA and 401(k) contributions. No, it wasn’t easy at all, but desperate times call for desperate measures. Results trump “easy” when you are in the position of playing catch-up. Check out our list of the best places to open an IRA to get started. On top of the retirement accounts, pay down as much on your home mortgage as possible. That’s the largest monthly expense for almost everyone — once that is gone, your monthly obligation drops significantly. I heard from a financial planner that there are 587 ways for married people to file for Social Security. How and when you do it can affect your payout significantly. This is something we didn’t do, and we still haven’t figured out how to do it without involving financial planners who want to sell you annuities. Some financial planners specialize in social security. They use sophisticated software to figure out the best approach given your specific needs. You’ll find an interview with one such expert here. You can also check out Get What’s Yours — The Secrets of Maxing Out Your Social Security by Laurence J. Kotlikoff, Philip Moeller, and Paul Solman. Many people fixate on 62 because it is the youngest age at which one can begin to collect social security. However, if you have a job, can hold on to it, and are able to work, it will be worth your while to plan on staying for a few more years. The good news is that life expectancy is increasing, and improved health means many more people are capable of working well beyond 62. However, increased health and longevity can be a double-edged sword. It means we all will probably live longer than the generation which preceded us. In turn, that means that whatever funds you have set aside for your retirement will need to last longer than you anticipated. Working past 62 not only adds to the fund, but it also postpones the day you begin to draw against it. While similar to cutting expenses, the idea of living on less is meant to be a bit broader. Think of it as Phase 2. You should explore options like going from two cars to one, scaling down your home to the minimum you can live in, etc. If you are looking at an underfunded retirement, you know you will have to make drastic changes to your lifestyle. The earlier you do that, the less likely a change like this will be traumatic for you. It may sound callous or cruel, but you may need to nudge a few baby birds out of the financial nest. If your retirement fund is short, it makes no sense to put the needs of children, their families, or other people who should be taking care of themselves before your needs. This is especially true if that would result in you being unable to support yourself. Once your finances come into line, you can always resume doing nice things for others. However, continuing to support dependents when you are at financial risk is short-sighted. Warren Buffett’s famous rule for investing is, “Don’t lose it.” That, of course, refers to avoiding unnecessary risk. However, when you are 50 with no retirement fund, you have largely forfeited the luxury of picking investments with modest earnings but high security/ You would have been able to enjoy these in your younger years, but it’s a bit too late for that now. There are investments that have higher returns than the index funds thought of as “safe.” Of course, taking advantage of those requires more than just a passing knowledge. You might think of it as another career…. and in a way, it is. The only way to “not lose it” is to know more than most other people, and that takes time and effort. If this sounds like an uncomfortable topic and strategy, it is. “No pain, no gain” is not just applicable to physical exercise. But if you know it up front, you can knuckle down and get where you want to be. 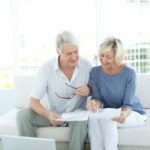 What got my wife and me through the serious sucking-it-up part of catching up to retirement? It was our view that this was a challenge… a project, even. We never had a woe-is-me attitude. Instead, we looked at it as a difficult goal– not easy, but not impossible, either. Admittedly, we didn’t have to make emotionally tough choices like cutting back on things for kids or grandkids. We also didn’t have health issues, which can wreak havoc on any plan, normal or catch-up. We also had a few investments work out unexpectedly well for us. Although there is no guarantee that will happen, I suspect it happens to many people. However, when it does, be sure not to react like I did when I was younger: to celebrate by spending it. When you are in project mode, those windfalls can’t be allowed to disappear. They become crucial building blocks. Is it easy to catch up to building your nest egg, when you wait ’til late in the game? No. But it is possible — and, in balance, that is at least some good news. Your situation is your situation. If that’s that you’ve waited to long to begin saving, that’s where you are. Regardless of what your situation is, a properly qualified financial planner or advisor is ALWAYS the first step to improving that situation. The author’s concern that he avoids financial planners because they just want to sell annuities is a bogus one. A financial planner is not a salesman; what product he may or may not be able to sell is not a determinant of his recommendations. The scenario in which the author describes himself appears to be one of having barely sufficient money to fund a nest egg, but not as much as he would consider ideal. Perhaps the reason he’s finding advisors who are recommending annuities is that there is a need to guaranty that he doesn’t outlive his income; the textbook fundamental purpose for any type of annuity. Do not make the devastating mistake of overlooking sound advice out of unsubstantiated suspicians. A financial advisor is absolutely the most important ingredient in any financial plan. Thanks for sharing a good motivating post. Passion, hard work, learning, focus and motivation when work together then anyone can get success. If you could summarize the entire post in one go, how would it be? When you’re young, thinking about retirement is depressing. I know I used to just shake the thought out of my head every time someone would mention it. But the switch just happens unexpectedly – the sooner the better, it turns out. In these uncertain times, relying on having a pension even in the most stable economies is not a safe bet. And I think that by doing the first 4 on your list, you can save yourself from having to the remaining points, except the last one, of course. Thanks for sharing this blog and giving me the information about this blog great post William!All good points and #4 Researching Social Security is very important and trying to find unbiased help is pretty difficult. What happened to this website? Nothing gets posted anymore. All good points and #4 Researching Social Security is very important and trying to find unbiased help is pretty difficult. I would suggest anyone looking for info in this area to go to http://www.NAPFA.org and search for a Fee-Only financial planner they will have a better chance of being pointed in the right direction without all the sales mumbo jumbo. I read Geri’s comment and it is just heartbreaking. Obviously she can take the advice in the article and try to cut her expenses as much as possible to try to save the money, but in reality she will not be able to save enough in a short period of time to make a real difference. In many ways, I would not spend much time worrying about the money (other than being careful/frugal) if that were my situation. Instead, I would focus on things that keep me healthy and happy since stress over this topic is likely to create worse outcomes. So for Geri, in a nutshell, exercise, healthy eating, maintaining positive connections with friends/family/spirituality (if that’s something you do), and doing some things that you feel give back. All of those activities are things that I would focus on just as much as cutting my cable bill to save 20 bucks. Health care is a huge expense and the items above are something that she may be able to have some small impact on. So, that is where I would focus my energy. When it comes to retirement, it’s easy to feel like you missed the boat. You didn’t start saving at your first job, or maybe even your third. But there are some ways to make up for lost time. First, it’s important to determine a realistic estimate of how much you need to save for your retirement. Nice blog, informative post. Thanks for sharing. “IT NEVER TOO EARLY TO BEGIN PLANNING FOR RETIREMENTS”. Saving money at young stage will help at 60. Thanks for sharing these strategy. My suggestion – Be smart, start saving early!! Enjoy life but do it on a budget. My goal was no mortgage after 40 on a home I love. Once you have no mortgage – the world is your oyster. Thanks for a fine article, William! You offer many great points for those needing to play retirement catch-up! Regarding #4, I HAVE figured it out. You’re correct that there are many variables, so finding the BEST option is difficult. Instead, I encourage people to seek “one of the best solutions.” The top ten percent of options are all “A-grade” choices, right? Many people are unaware that Social Security provides a REGRESSIVE benefit rate â?? in other words, the more you pay in, the lower the percent of contributions you get back in retirement. Accordingly, this make your Point #5 questionable. Contributions to Social Security made after age 62 often yield absolutely no return whatsoever, especially if you’ve had relatively consistent “real income” for most of your adult life. Due to indexing factors, the wages earned 35 years ago are often similar to wages earned today. In this case, pumping additional money into the system gets you nothing more in retirement benefit. Take a look at the formula for computing your Social Security PIA (Primary Insurance Amount – your retirement benefit): http://www.socialsecurity.gov/OACT/COLA/piaformula.html If you’re a numbers guy, run some through the formula. The reality of the regressive benefit should become evident. What if you are past 60 and no retirement money. Do you continue to work until 70 (as long as your health holds) or is there an investment for people like me who did not plan correctly. I need help.